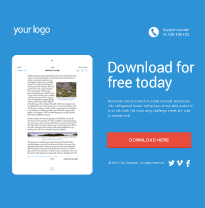 You've put a great deal of effort to build your ebook and all you need now is people to download your whitepaper. This ebook landing page is built for download conversions. Replace elements on the template to make it work for your ebook's needs and start your marketing. 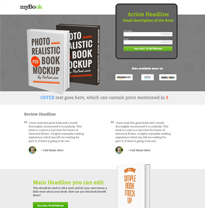 If you are looking for an ebook landing page template, then this is what you need. We offer customisable template for writers and content creators so that they can advertise as well as sell their ebook on their own platform.